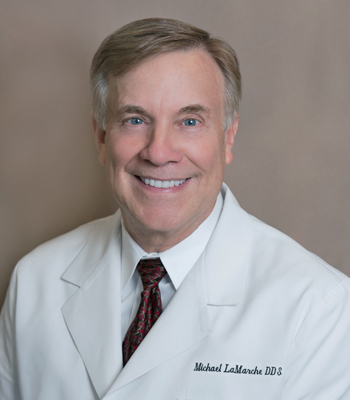 A Seattle native and living in Bothell, Dr. LaMarche, a Mill Creek dentist, has been delivering the highest quality of dentistry to the Greater Snohomish/King County community for over 30 years. He earned his Doctor of Dental Surgery degree from the University of Washington, School of Dentistry where he where he was a member of the prestigious Honors Prosthodontic Program and graduated on the Dean’s list. Following Dental School, he was awarded the Meritorious Service Medal and Army Commendation Medal while serving as a dental officer in the US Army. After completing an internship in surgery, pedodontics (children’s dentistry) and restorative dentistry, he was the officer-in-charge of a dental facility providing care to 50,000 troops and their dependents while serving in Germany. He is a graduate of the Nobel Biocare Implant Residency, University of the Pacific Cosmetic Continuum and the University of Washington Cosmetic Continuum. He began his Lake Stevens practice in 1979. From 2006 through 2010 spent time with his family and pursuing his passion as a nationally certified, high-performance-driving instructor for Porsche, BMW, Audi and Corvette Clubs. Dr. LaMarche enjoys spin classes and rides with various bicycle clubs. In 2010 he formed Forum Dental Group. He is co-author of Subpontic Osteonecrosis: Radiographic and Microscopic Features in Patients with Chronic Pain and Urine Mercury in Micromercurialism: A Bimodal Distribution and Its Diagnostic Implications. Dr. LaMarche and his wife, have three children and four grandchildren.